The CAPACES "Whatever It Is, I'm Against It !" 4th LP ! GV 013 >> The CAPACES "Whatever it is, I'm against it !" LP - DISPONIBLE / AVAILABLE NOW ! 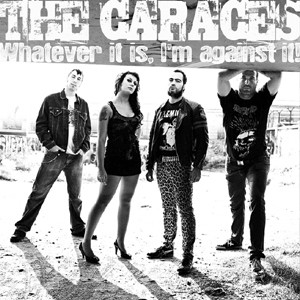 The CAPACES are back with their 4th album ! Think : Dwarves, Zeke, Poison Idea or a way faster Distillers ! Co-released by the band, Histrion, Mass Productions and Guerilla Vinyl. Vinyle : 14.50 euros port compris pour la France. Chèque à l'ordre de DO IT YOURSELF, B.P. 135, 87004 LIMOGES cedex 1, France.